We are exporting home furnishing products, household textiles products, home textiles products, houseware products to all over the world. We are very much interested to export our home textiles products to your country through yourself & fulfil your products requirements in cent present with best quality, packing with competitive price in a committed delivery schedule. S.N.S. Cotton would like to introduce ourselves as one of the leading manufacturers of home textiles, exporters of houseware products, suppliers of cotton home furnishing, household textiles, home textiles, houseware & all kinds of 100% Cotton Power loom & Auto loom cotton Fabrics, Housewares, Handloom cotton Textile Products, cotton Table cloth, cotton Table mat, Kitchen cotton towel, cotton Napkin, cotton Place mat, cotton Runner, cotton Apron, cotton Pot holder, cotton Glove, cotton curtain, cotton cushion cover, Seat pad, Mattress, cotton Bed spreads, and all other household textiles and home textiles including home furnishing fabrics and houseware Products. If you wish to see our samples, we are ready to send the samples to you. We will develop your own samples as per your desire and will be sent to you at the earliest. If you give an opportunity to work with you, it is very helpful us to prove our efficiency and serve you the best. Here with we furnished our company profile and product range list for your reference. Kindly and convey your reply. 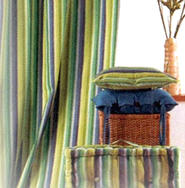 Manufacturers and Exporters of 100% cotton Power loom and Auto looms Textile products. 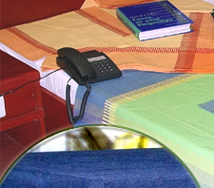 Supplying to the Importers of Home Furnishing Textile Products all over the globe. Backed by a team of Technically Qualified Professionals with experience of 18 years in this field. Qualified professionals in Designing, Dyeing and Quality controlling and Packing. Having adequate backup facilities to meet the growing demand of customer needs. Design development as per importers specification. Timely delivery with compliance to shipping schedule. MOTTO : BETTER QUALITY, TIMELY SHIPMENT AT THE BEST PRICE. Delivery Details : As you like.